Renee, a friend and co-worker, sent me this one via email the other day; I thought it was too darned funny - and probably accurate - not to share! I don't remember MY first senior moment! Nice background and the header is just right. 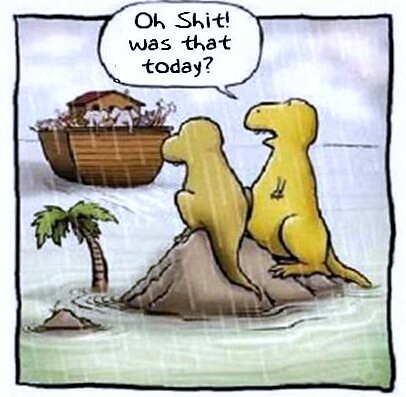 And thus, the truth about dinosaurs is revealed. Yep I've been having these moments for quite some time. Sigh. A really funny one there!